Associa, the leader in community association management, has served communities, neighborhoods, and families for more than 40 years in North America. We believe getting kids involved in organized activities and sports is a great way to be healthier and allows them to develop lifelong skills. Associa continues to be passionate about educating parents and helping kids be more active, stay safe and thrive. 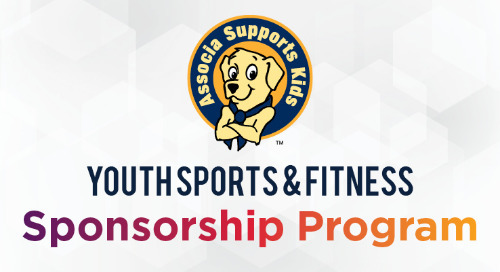 The Associa Supports Kids (ASK) program teaches communities, parents, and kids about health and safety as well as offers youth sports and activity sponsorships to assist in providing tools kids need to successfully lead a healthy, active lifestyle. The ASK program provides parents resources and important information to share with their children about leading safe and healthy lives. Our most popular advocate is ASK’s mascot Scout, the golden retriever, who travels around the country sharing stories and important safety and health tips for kids. During his travels, Scout distributes his safety-tips coloring and activity booklets, “Safe & Strong” silicon wristbands, Scout’s adventure books, and for parents, ChildPrint ID kits.